Do you want to know more? Find out about camp counselor opportunities at Laurel South and how you can combine earning money for college, professional and personal development and yes, a little camp fun! 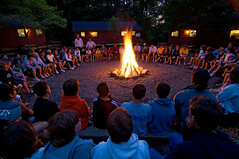 This entry was posted in Uncategorized and tagged benefits of camp, camp staff, camp staff training, staff, summer camp job on December 22, 2010 by Camp Laurel South. Many returning campers will tell you that the best thing about camp was the people, and they don’t just mean their cabin mates and fellow campers. 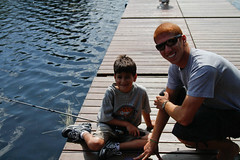 Campers also develop strong bonds and relationships with their counselors and camp coaches. At Camp Laurel South, the camp director works year-round to find the highest-caliber professional staff, and these dedicated adults devote their summers to your kids and their development. In addition to many of the staff being former campers themselves, they are also graduate students, teachers, coaches, and even some professional athletes, all of whom want to mentor and teach kids in the amazing environment of summer camp. Being a teacher isn’t enough, nor is being an experienced coach. 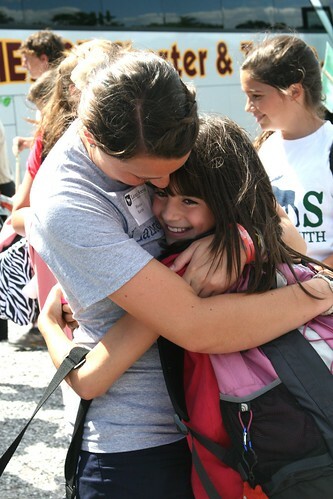 The camp staff have to connect with camp-age kids and form the bonds that make the weeks at camp so special and productive. We all know that kids learn better from coaches and teachers they like and respect and will retain the skills and lessons much longer. 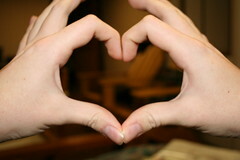 How many of us can still remember our favorite mentor and something specific they told us all those (many!) years ago? While camp isn’t school, as we all know, your child’s camp program is specially designed to make the most out of the experiential/informal education nature of a summer in the woods. Many of the coaches at camp have spent five-to-ten years working for the same camp, perfecting their programs and curricula. They know what works in a camp setting (and what doesn’t) and have shaped their programs so your kids get the maximum benefit. Camp coaches also go above and beyond the normal expectations of parents. Many of the coaches, for example, will communicate with the kids’ coaches back home so the transition and skill-building is seamless. The kids don’t miss a beat. At Camp Laurel South the coaches are dedicated to developing skills in many areas, including soccer, lacrosse, tennis, basketball, swimming and even equestrian. Shorter season programs allow kids to always try out something new and develop more broadly. 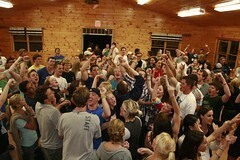 Please visit the Camp Laurel South website (www.camplaurelsouth.com) to find out more about our summer leadership team. This entry was posted in Uncategorized and tagged camp laurel south, camp staff, summer camp, summer camp counselors on September 24, 2010 by Camp Laurel South.